Underground Cemetery was actually built as an exclusive burial ground for missionaries and Spanish friars as early as 18th century. It is commonly considered as the only one of its kind because it is the only underground cemetery that exists in the Philippines. It was built and designed for funeral mass purposes by a Franciscan priest - Fr. Vicente Velloc in 1845 to be exact, - that leads to an underground graveyard construction which is 15 feet below the church. If you're actually on the place, the first thing you see is a church entrance and as you go beyond the entrance, you will see a burial site, just like a typical cemetery with tombs piled up in storeys. so, basically, it's a church that has an underground graveyard of 15 feet, - which led to becoming known as a cemetery where more privileged missionaries that came from elite Catholic families were buried. 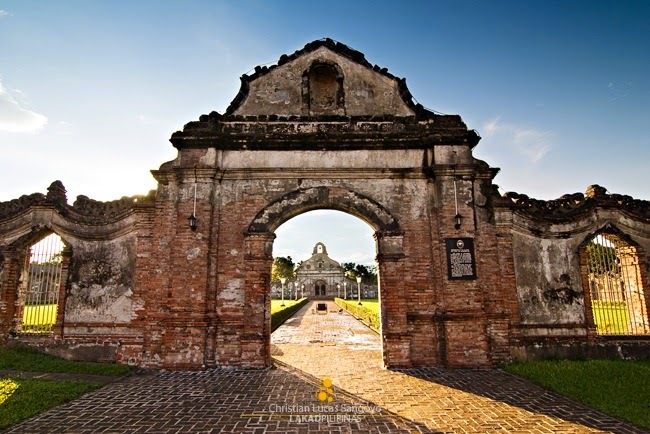 Other historical facts about the Underground Cemetery was that it was also used as a place for secret meetings and sanctuary by Filipino revolutionary leaders and members during the war. The first tomb was dated 1886. The cemetery is now more than 160 years old. There are only few tombs buried in the underground crypt, so don't expect too much to see under there. The church is no longer used and masses are no longer held there anymore, except on some special occasions such as Holy Week. On the other hand, the legend about the existence of a hidden tunnel at the Underground Cemetery still actively exists today among the residents of Nagcarlan regarding their beliefs about the hidden tunnel that is connected to the church altar. They further believe that this tunnel ends its way up to Mt. Banahaw, - considered to be a holy mountain. But nothing has ever proven about the hearsays and rumors until today. Entrance going to Underground Cemetery is free. But they have donation box placed at the entrance. You can take photos inside and underground but no flash photos allowed!